July 6, 2017, 10:57 a.m.
With events, trainings, and a freelance database, OpenVRT is an attempt to make the Belgian public media broadcaster VRT more accessible. By Tom Cassauwers July 6, 2017, 10:57 a.m. It was a warm Wednesday night in early May and clusters of people, most of them under 30, were standing on a theater terrace overlooking Brussels, Belgium. Munching on appetizers and sipping drinks while also shooting photos for Snapchat and Instagram, they were there to hear a series of talks from documentary makers, a VR expert, and the owners of an alternative online magazine. 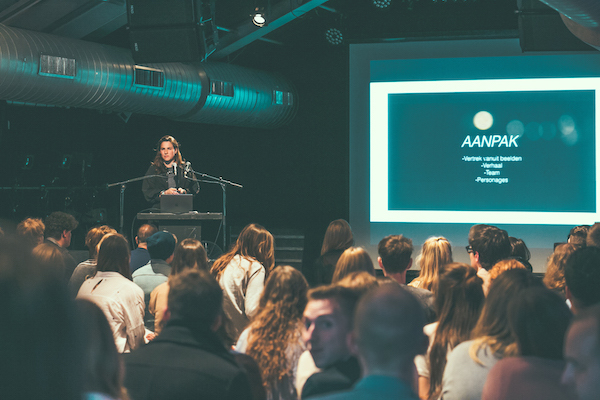 The event, which attracted a hip crowd of around 100 attendees, was organized by one of Belgium’s largest legacy media organizations, the public broadcaster VRT. The gathering was part of the broadcaster’s project OpenVRT, an effort to build a community of digitally oriented creative people between the ages of 18 and 30. The OpenVRT community includes media makers such as writers, Instagrammers, filmmakers and Snapchat personalities. “The general idea of OpenVRT is that we, as a large media organization, want to connect with creatives in a way that shows we are very approachable and open,” said Camille Pollie, the community manager of OpenVRT and a radio host at MNM, a VRT radio station. VRT serves Belgium’s 6.5 million Flemish-speaking residents through three television channels, five radio stations, and a range of digital outlets. The organization is known for its large telecommunications tower on the outskirts of Brussels where its operations are located. “We want to show young creatives that it is not hard to come into our tower,” Pollie said. The broadcaster launched OpenVRT in 2014 as a project of VRT Start-Up, a small, innovation-focused team within VRT. VRT Start-Up mapped out the landscape of young people working in creative digital positions in Flanders. They looked at who was working in the space, how they could define creatives, and how VRT could best reach and cooperate with this group. Eventually, this cascaded into OpenVRT as a standalone project. Pollie works full-time on the project by herself. There are plans to hire a part-time team member later this year. Every year OpenVRT aims to organize four large events, six workshops with experts, and three major cooperations between creatives and VRT channels. The May event was one of the large public events. These are free and aim to attract larger groups of people through inspiring speakers. The workshops are more specific and hands-on. Small groups of 10 to 15 people are selected for workshops taught by VRT staffers or external experts. A recent one on mobile journalism gave the participants an introduction to mobile journalism; afterward they had to produce a short video documentary with their own smartphones. “The concept of the workshops is always to work very hands-on,” Pollie said. OpenVRT also operates a public database where people can advertise their portfolios to attract freelance work. The database now contains around 2,200 active profiles. OpenVRT straddles the line between user research, networking organization, and talent scout. Pollie said VRT uses OpenVRT as a potential recruitment tool, but she emphasized that the larger goal of the group is to make VRT relevant to younger audiences and also to set up networks between the outlet and creatives, whether or not they will eventually be recruited. “A VRT radio station once asked me to hand them a list of 10 good Flemish Instagrammers, which is something they simply cannot ask HR, and this is precisely what OpenVRT excels at,” Pollie said. The collaboration also helps VRT learn how to adapt its coverage for digital platforms. Recently, for instance, the VRT television show Iedereen Beroemd, a daily show that covers human-interest stories, worked with OpenVRT to make short three-minute video documentaries. OpenVRT spread the call in its network and received a range of pitches; ultimately, nine people were selected to make shorts for the show, which would appear on television. All of the participants were paid for their work and they received mentoring from Iedereen Beroemd’s staff. One of the producers who was selected was Marthe Crab, a student in her final year at RITCS, an art school in Brussels. Crab’s documentary shows her and a friend traveling to a small town in southern Belgium. The friend’s brother had wanted to travel to that town, but died before he could do so. The documentary explores that story. Crab received mentoring from a VRT employee and did much of her video editing at the VRT offices. Moving forward, OpenVRT wants to create a physical studio space modeled on YouTube Spaces where participants can come to gather and work on projects. Fundamentally OpenVRT does what its name says: it opens up VRT. It is the antenna of the organization in the creative community. POSTED July 6, 2017, 10:57 a.m.
Cassauwers, Tom. "“It is not hard to come into our tower”: Belgian public broadcaster VRT is connecting with young creatives." Nieman Journalism Lab. Nieman Foundation for Journalism at Harvard, 6 Jul. 2017. Web. 24 Apr. 2019. Cassauwers, Tom. 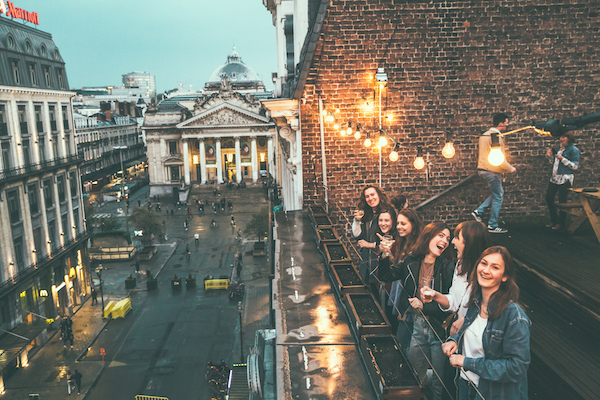 "“It is not hard to come into our tower”: Belgian public broadcaster VRT is connecting with young creatives." Nieman Journalism Lab. Last modified July 6, 2017. 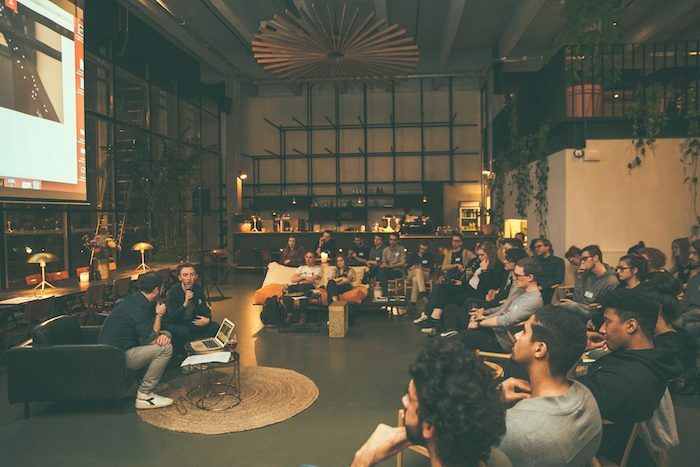 Accessed April 24, 2019. https://www.niemanlab.org/2017/07/it-is-not-hard-to-come-into-our-tower-belgian-public-broadcaster-vrt-is-connecting-with-young-creatives/.